to the life and character of our departed friend"
William Rufus Day, 1849–1923. Associate Justice, Supreme Court of the United States, 1903–1922; United States Secretary of State, 1898. Very scarce Typed Letter Signed, William R. Day, one page, 8" x 10½", on engraved stationery of the United States Circuit Court of Appeals, Judge's Chambers, Canton, Ohio, March 19, 1902. This is a very scarce letter from the future Supreme Court Justice. Most of Day's autograph material exists in the form of checks that he signed. Letters are very difficult to find. We have found only three other letters sold at auction since the mid 1990s. Day, a fellow Ohioan, was extremely close to President William McKinley and served as McKinley's legal and political advisor in his campaigns for Congress, for governor of Ohio, and for President of the United States. In this letter, written just over six months after McKinley's death from an assassin's bullet, Day extols "the life and chracter" of the slain President. 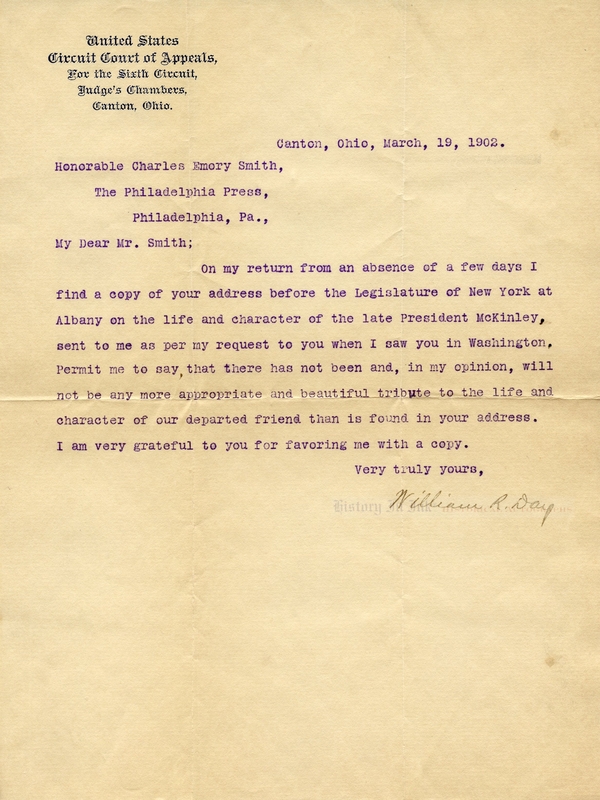 Writing to Charles Emory Smith, Day says, in full: “On my return from an absence of a few days I find copy of your address before the Legislature of New York at Albany on the life and character of the late President McKinley, sent to me as per my request to you when I saw you in Washington. Permit me to say, that there has not been and, in my opinion, will not be any more appropriate and beautiful tribute to the life and character of our departed friend than is found in your address. I am very grateful to you for favoring me with a copy." McKinley appointed Day to be Assistant Secretary of State but elevated him to Secretary when John Sherman proved ineffective. Following the Spanish-American War, however, Day left the State Department to lead the United States delegation to the Paris peace conference. Once peace was concluded in December 1898, McKinley appointed Day to a seat on the United States Court of Appeals for the Sixth Circuit, which includes Ohio. After McKinley's death, President Theodore Roosevelt elevated Day to the Supreme Court, where he generally sided with Roosevelt and the government against large trust interests—views that McKinley himself likely would not have favored. Charles Emory Smith (1842–1908), to whom Day wrote this letter, was an American journalist and political leader. Smith had served as Postmaster General under McKinley and then Roosevelt before leaving the Cabinet in January 1902. He was a lifelong Republican who helped draft much of the 1896 Republican platform upon which McKinley ran. As Postmaster General, he was largely responsible for development of the rural free delivery system. He left to return to the Philadelphia Press. This letter is particularly nice. It has two vertical and one horizontal mailing folds. One of the vertical folds goes through the "W" in Day's fountain pen signature.  There are small reciprocal stains in the upper and lower right blank areas. Overall the letter is in fine condition.